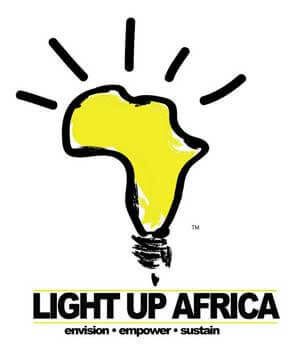 Team Light Up Africa is a step closer to its goal of providing cheap, affordable electricity to the developing world. Their portable generator/energy storage device, the Zoom Box, was selected as one of 200 semifinalist in the Dell Social Innovation Challenge. The competition drew more than 1,700 submissions. 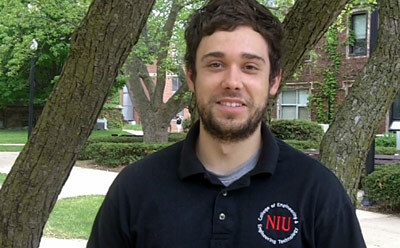 NIU’s four students are hoping to launch a company that will build and sell portable electric generators, starting in Africa. Simple, durable and inexpensive, the device is designed to attach to just about any moving object (car, boat, oxen, bicycle, etc.) and will transform the kinetic energy of that movement into electrical energy that is stored in a battery. It can be used to replace dangerous kerosene lamps with safe electric light, charge cell phones or operate small appliances. The team is currently working on its second generation of the device. To vote for their project, visit the Dell Social Innovation Challenge website. Engineering student Alan Hurt and accountancy majors Jason Schwebke, John Harkness and Mike Sutarik comprise the team. Their long-term goal is to provide safe, inexpensive electrical power to the 1.4 billion people worldwide who currently do not have access to electricity. The proposal at the heart of the Dell entry was crafted when the team participated in the first ever Social Venture Business Plan Competition held by the NIU College of Business last fall. Light Up Africa’s victory in that class came with a $10,000 check to provide some seed funding, and an introduction to some experts who can provide business-start-up advice. The Dell Competition offers an opportunity to win up to $50,000 more to help launch their venture. Although the team got a late start compared to some of the other teams on the Dell site, its proposal resonated with visitors. It drew 289 votes, and finished fourth among 119 energy related projects, eighth out of 391 for-profit projects, and 15th out 379 projects directed at improving conditions in Africa. Overall, it placed 42nd out of 1,721 projects. As semifinalists, the team members will have the opportunity to work one-on-one with a DSIC-certified mentor who will help them refine their project page and develop the required finals materials – including a video pitch and a project road map. The finals of the competition will be held in Austin, Texas, in June.